Marie Sklodowska-Curie Fellowship (Researcher: Gabriel Fuhrmann), 2018–2020. Marie Sklodowska-Curie Innovative Training Network on Critical Transitions in Complex Systems (co-PI with Jeroen Lamb), 2015–2019. Marie Curie IEF Fellowship (Researcher: Janosch Rieger), 2015–2017. EPSRC Grant New Directions for Research Leaders, 2013–2015. Marie Curie IEF Fellowship (Researcher: Vasso Anagnostopoulou), 2013–2016. Marie Curie IEF Fellowship (Researcher: Doan Thai Son, co-PI with Jeroen Lamb), 2013–2015. EPSRC Career Acceleration Fellowship, 2010–2015. Marie Curie IEF Fellowship (Researcher), 2008–2010. Postdoctoral Grant from the State of Bavaria, 2006–2007, University of Augsburg. 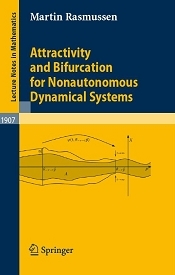 The article Towards a Bifurcation Theory for Nonautonomous Difference Equations was awarded the prize of the best paper in 2006 by the International Society of Difference Equations (ISDE). Grant for excellent undergraduate studies from the Department of Mathematics at the University of Augsburg, 1999–2000. 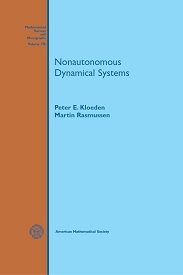 Attractivity and Bifurcation for Nonautonomous Dynamical Systems, PhD Thesis, University of Augsburg, 2006, 190 pages. Bevölkerungsprognose für Augsburg 2000–2015 (with H. Glöckner), Beiträge zur Stadtentwicklung, Stadtforschung und Statistik 18, Stadt Augsburg, 2000, 386 pages.